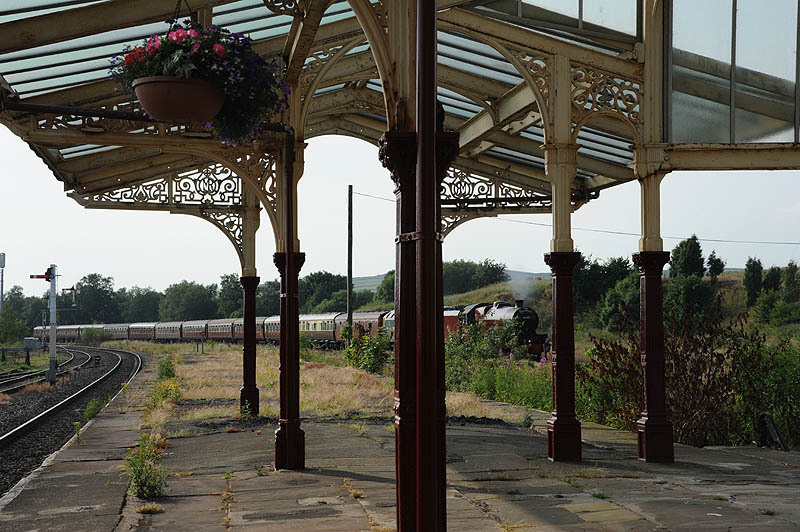 Hellifield Station is a station six miles south east of Settle, on the Settle to Carlisle line as it continues to Leeds. 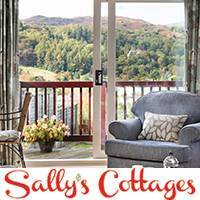 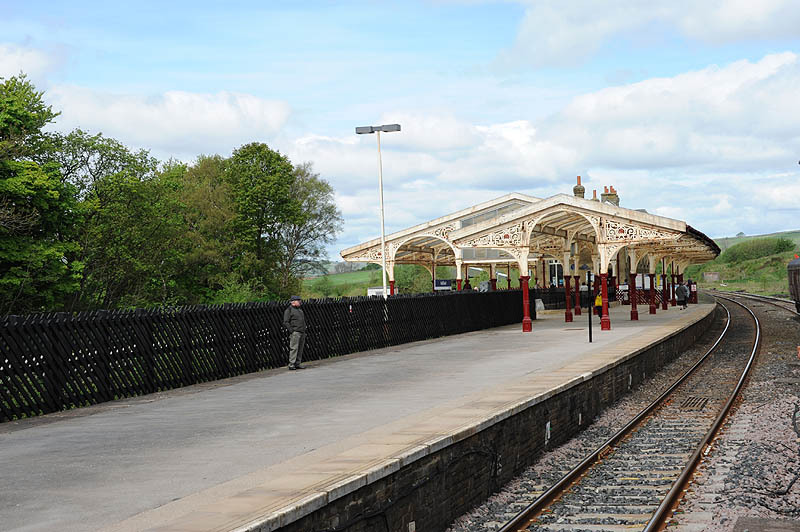 It is on the southern edge of the the Yorkshire Dales National Park. 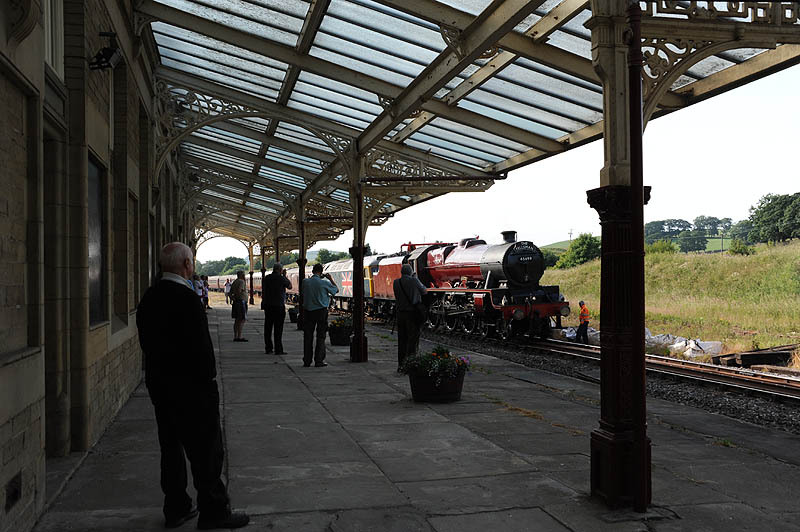 It is included here because it is an impressive stucture on the line, totally different to the architecture of the Settle to Carlisle stretch, and is one of two watering places for steam engine charter trips (the other is Appleby Station), so is a good place to view the passing steam trains. 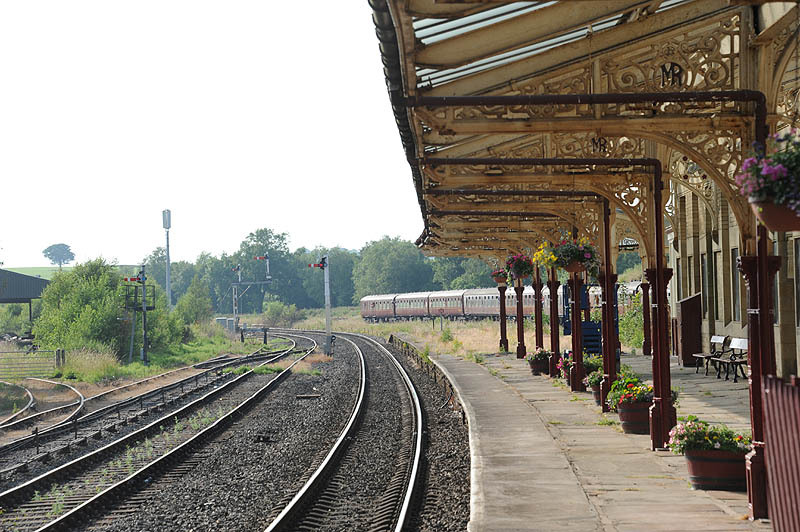 Hellifield is a wonderful relic of the Victorian age with its magnificent overall glass roof and is now a Grade II Listed Building. 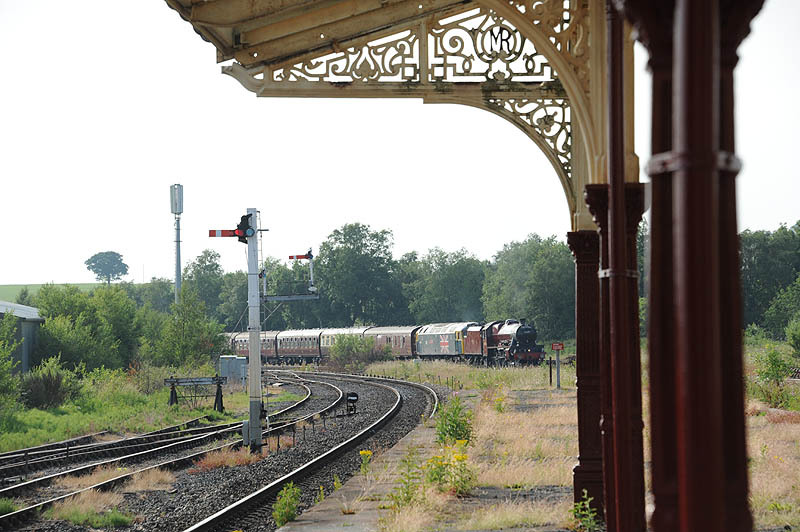 It was built by the Midland Railway and renovated in 1994. 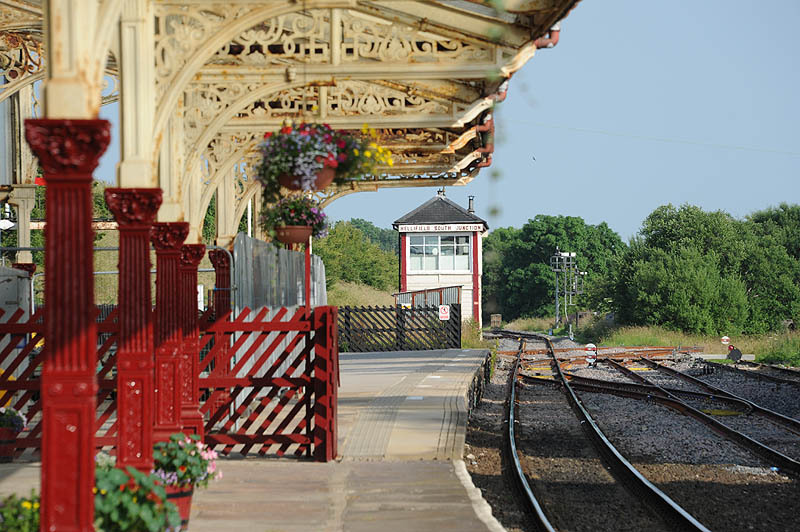 Hellifield was once a busy junction when in 1880 the Lancashire & Yorkshire Railway extended their line from Blackburn through Clitheroe to Hellifield, joining the Midland Railway main line from Leeds to Glasgow. 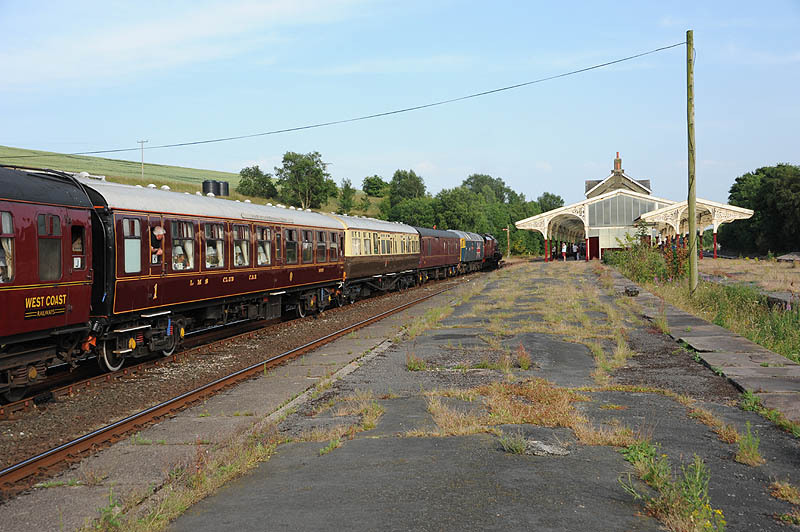 It had a locomotive depot and goods yard. 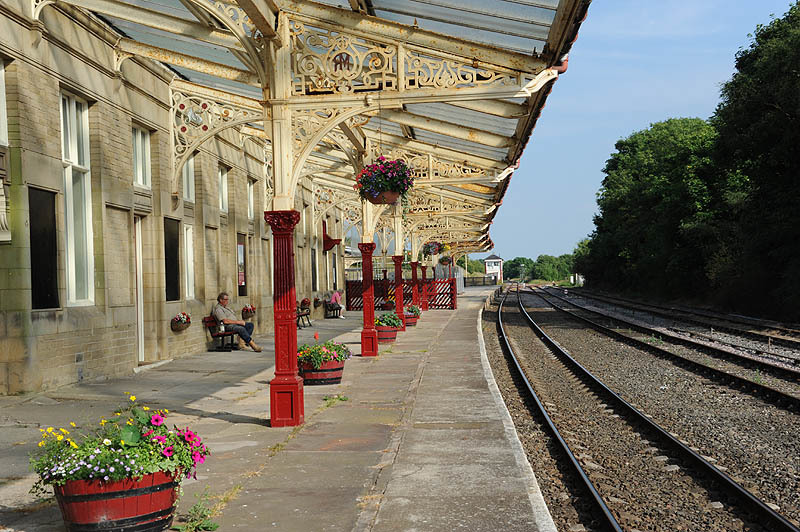 While there has been a station at the site since 1849, the existing station canopy was constructed in 1880 by the Midland Railway. 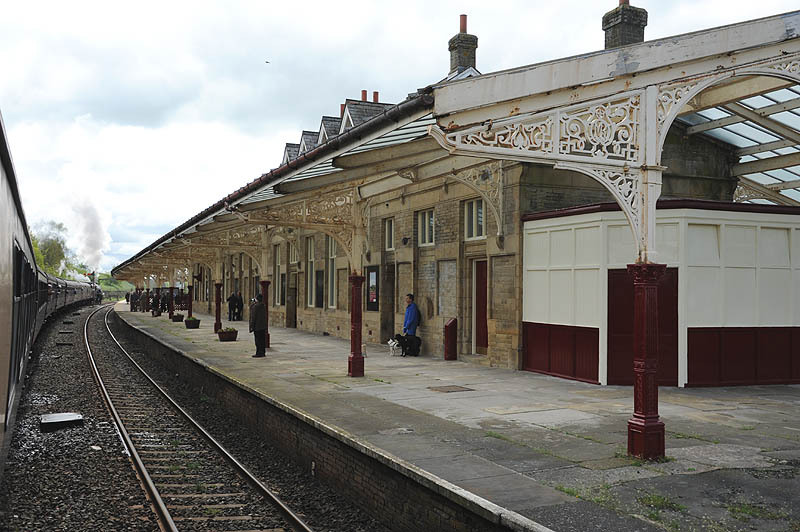 The station reflected this important role, with its large single island platform with bays at each end, and a two storey stone station building with a large glass canopy supported by decorative iron columns. 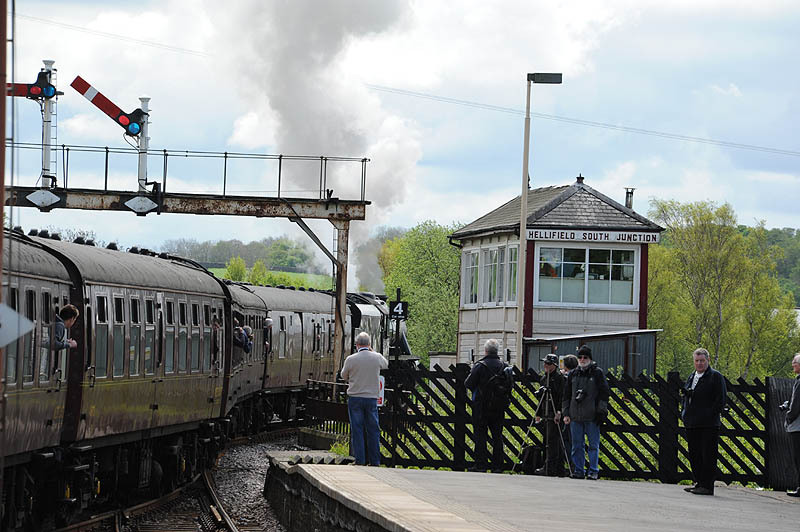 The Bentham Line (Leeds to Lancaster & Morecambe) often referred to as the ‘Little North Western’ continued through Hellifield on the line to Carlisle, splitting off just before Settle (at Settle Junction), and going via Clapham, Carnforth and Lancaster to Morecambe. 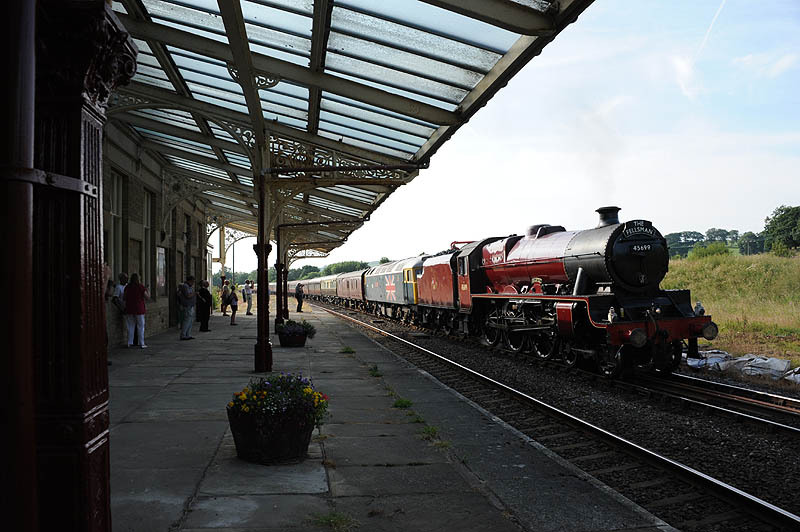 Carnforth is a junction where the Furness Line joins – travelling to Barrow-in-Furness the along the Cumbrian Coast to Carlisle. 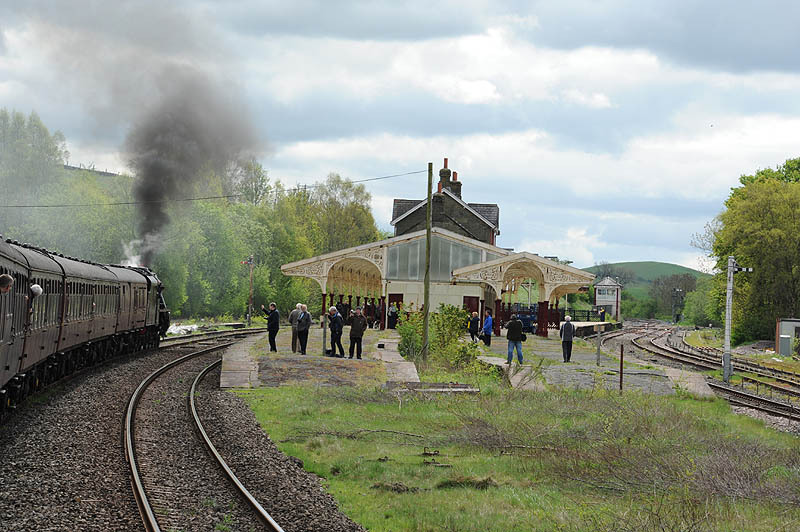 So a complete railway tour around the edge of Cumbria can be made – Hellifield-Carnforth-Arnside-Barrow-Carlisle-Hellifield. 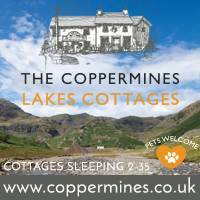 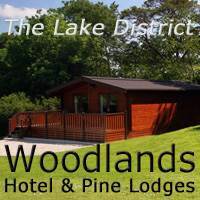 See the Cumbria Day Ranger ticket link below. 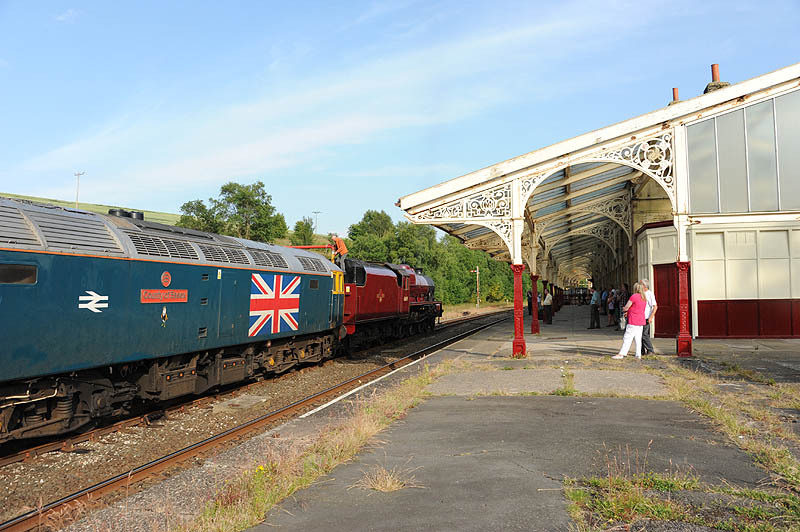 The line from Blackburn and Clitheroe had its passenger service withdrawn on 10 September 1962, but remains open for freight and occasional diversions when the West Coast main line is closed between Preston and Carlisle. 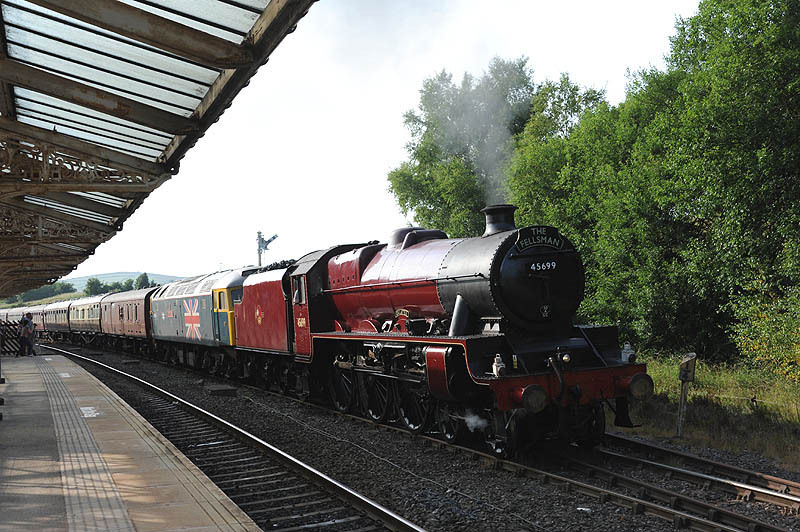 Steam and diesel charter trains occasionally use the route from Carlisle to Hellifield, then via Clitheroe and Blackburn to join the West Coast Main Line just south of Preston. 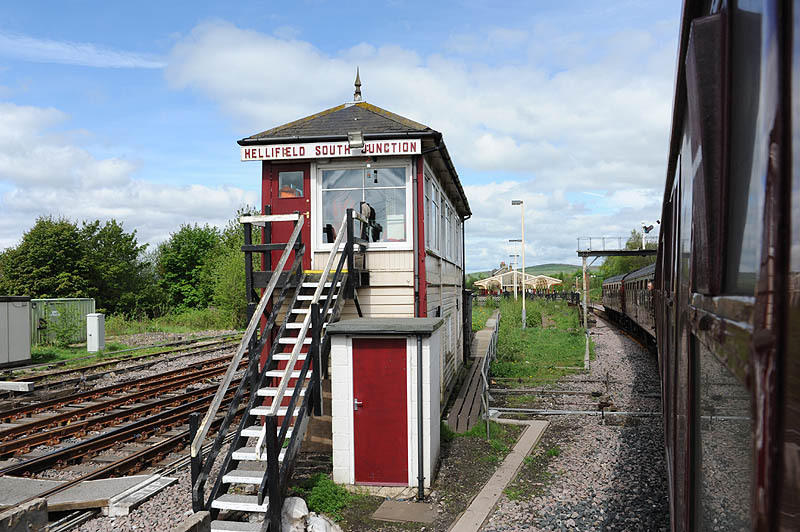 The traditional Midland signal box still exists at this traditional junction layout, with loops on both sides of the island station, arranged to permit access in either direction from any of the three approaches to the station. 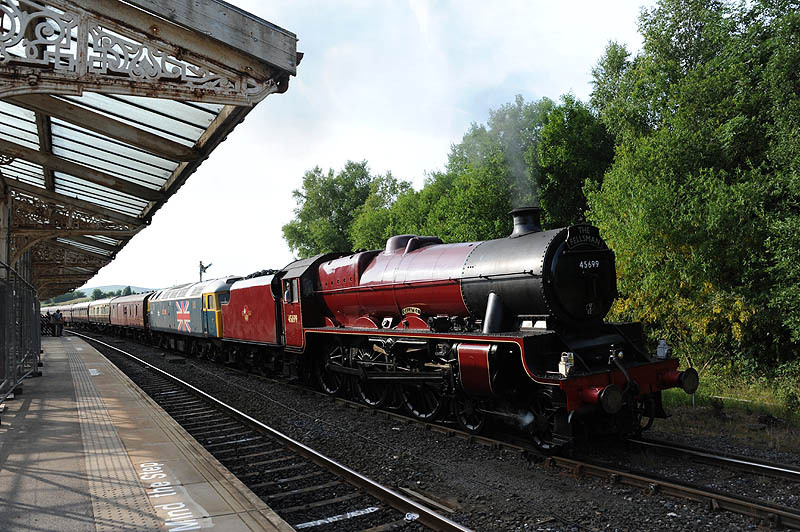 West Coast Railways have installed a water hose and tank to allow steam charter trains to refill their tanks. 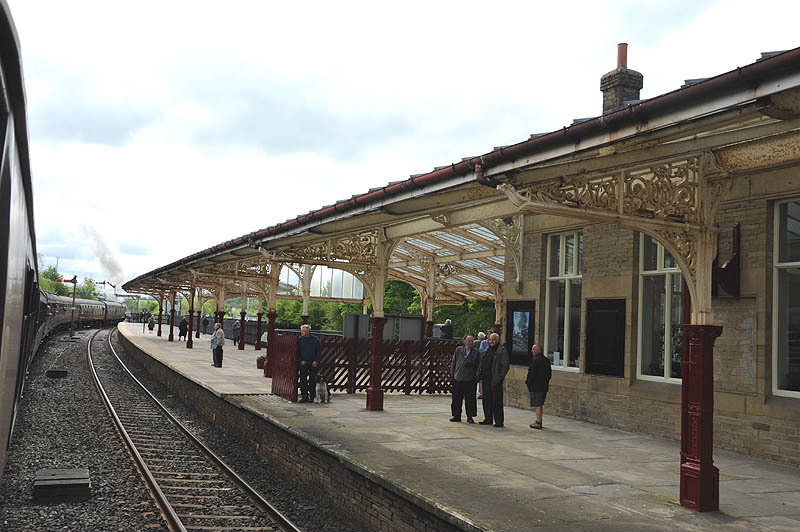 The station, with train services managed by Northern Rail is unstaffed, although the station buildings are in private use. 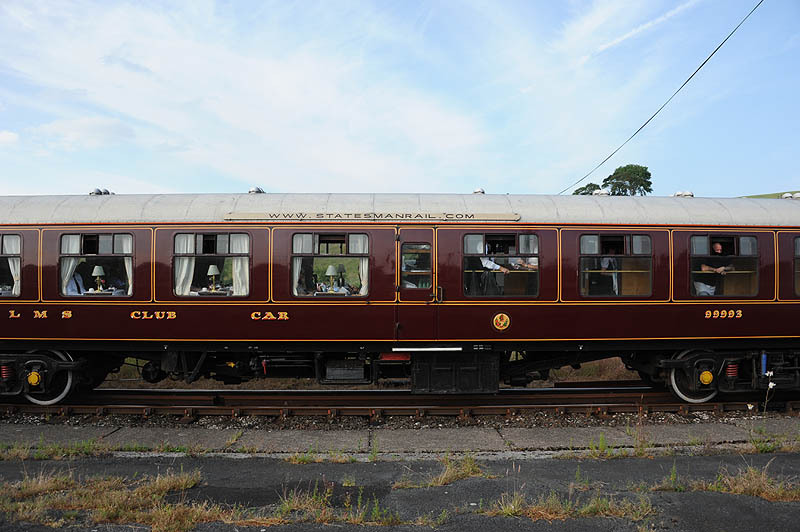 The handsome refreshment room is now open as a café and souvenir shop. 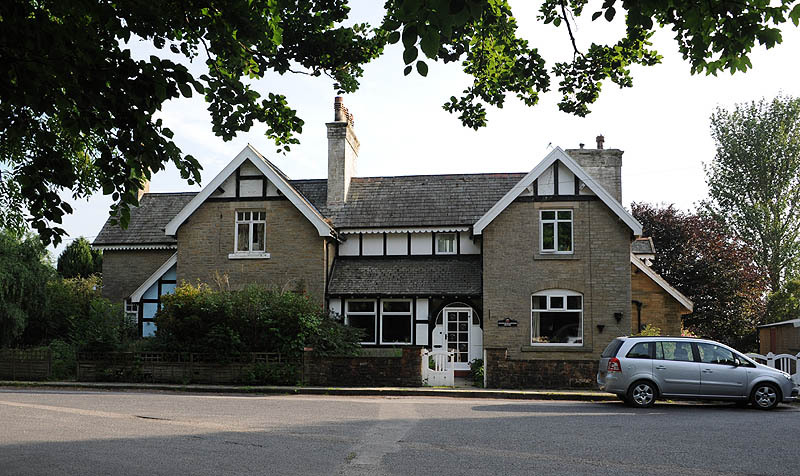 There is a small free car park.